The Holiday season can bring out the best and worst in our fellow man. Personally, I try my hardest to seek out the best in people. I understand we all have moments where we could stand to be a little more understanding and we all have our fair share of regrets, but our actions do speak volumes and we must do our best to keep that in mind as we live our lives. Ever notice when you first meet someone, you get this gut feeling about the type of person they are? Then the more you spend time around them, you figure out the source of your discomfort whether it be them personally or something they’re into? I always find it disheartening when I’ve taken the time to get to know someone and find them to be utter snakes. Anyway, I’ve taken a bit of time these past few weeks and done a little reflecting on my life and what I’ve done with it this past year. I’ve had some disappointment’s and some highly encouraging times. I’ve met some interesting characters this past year, some I’m happy to have become acquainted with and others… well, let’s just say I’ll be glad to cut ties with. I’ve taken on some challenging endeavors with my new career as well. I’ve always believed I can do anything, Not in a self-righteous way of course, but more of a determined and confident in my ability sort of way. I’ve taken on most of my jobs without having much in the way of experience, just a good work ethic and strong willingness to learn. Last year I left my 3 yr career as a Vet Tech and took a 360 turn towards something more business like and A little more mentally challenging for me. I still miss my old hospital, the unique cases we handled, the long hours, the educational meetings and conferences. And of course, the exotic animals I was able to tend to. My new career choice hasn’t left me in want of a good challenge though. I work on site (steel toe boots, neon jackets and hard hats) with a team of electricians, electrical apprentice’s and superintendents. Of course, we’re only one of a few different groups of talent that goes into the construction of a new building. Since starting with this company I’ve learned a lot about the business and what all goes into the construction of a new building. The stress, the talent, and the knowledge needed to work through any unexpected problems that may arise. Watching a building go from dirt (literally) to finished product is so interesting to me. I can see the passion that goes into these projects. So, besides signing papers, figuring out shipments and trying my best to keep the stress level to a minimum for my superintendents, I also took on the role of Safety Technician for our site. So now it’s, Site administrator and Site safety technician for an Industrial electrical company. The basics of safety on a job site are rather obvious and come easy to anyone with common sense. But there’s more involved than just hard hats and safety boots, as I’m learning daily. Honestly, I’m taking it all in strides. I’ve been learning a lot and picking up pointers from those who have been doing this way longer than I and from other contractors willing to give me advice and guidance. I’ve worked with some rather helpful people, a few piggish men and (of course) 1 or 2 guys that feel a woman doesn’t belong in this field. For me, the more I’m looked at as incompetent and like I don’t belong, the more strength I feel towards proving them wrong. Workaholic? Joyrider? Where do you fall in at life? I’m both happy and slightly nerve racked to be back on the grind, retraining my brain to focus on my plans and deadlines VS thinking about lazy days and sunshine. Now that doesn’t always mean we’re dropping all contact with the outer world, ditching our friends and blowing off social commitments until we hit our goals. Although for some, that works best for them. 👆🏼 Read it, remember it, use it daily. People tend to lean one way or the other. They’re either workaholics or joyriders when it comes to their lives and futures. And both groups will inevitably get annoyed with the other. The Workaholics : Those who put their priorities above most enjoyment and get dumped on for never having fun, going wild or partying it up with the rest of them. All while they’re also envied when they reach certain stepping stones and hear the never ending “you’re so lucky to have that/ be able to do that!” 🙄 blah ..
No, luck doesn’t have anything to do with it. Some just set plans and make their priorities fall in line with them. Why should they sacrifice their dreams just for a weekend of partying or those friends who always lead to trouble ? The Joyriders: They really don’t care what they do. Mostly live pay-check to pay-check, live beyond their means and consistently feel the need to bash those who “have it all figured out” or “always get what they want“. Never admitting that their own lack of effort and commitment is what’s keeping them behind. They’re the type who always seems to have an excuse and a complaint. Personally, I fall in the workaholic category. But when living life and being with friends or family begin to suffocate my goals and set me back… I cut ties for a while. You have to remember that we’re all individual people, we have to take care of our own needs and wants. Always worrying about what others will think or say… or complain about and accuse… that negativity will kill you both. One will stop living their life just so they can complain about yours and the other with eventually get tired of being dumped on that they themselves will develop a negative outlook on their life. Makes for a viscous cycle of unhappiness if you ask me. So what would you call yourself? A workaholic, joyrider or someone in the middle? Posted on August 26, 2018 Categories LifeTags balancing life, bettering your life, hitting your goals, Life, random, success, workLeave a comment on Workaholic? Joyrider? Where do you fall in at life? My life if full of “What if’s” lately. 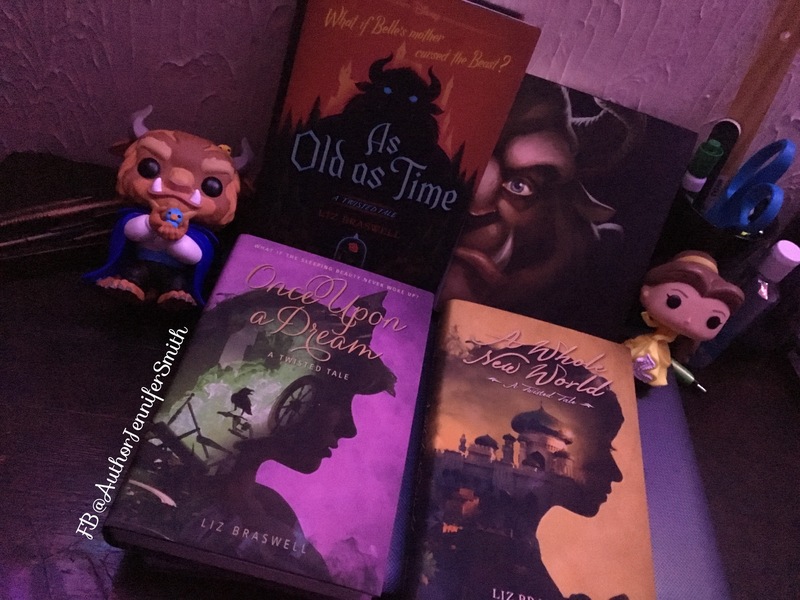 Between the lovely ya books my mother purchased for me and the business end of my life, I haven’t had a single day this year that I haven’t said “what if” a dozen times before falling asleep… and to me, that says I’m not living the life I want.